Trill scientist. 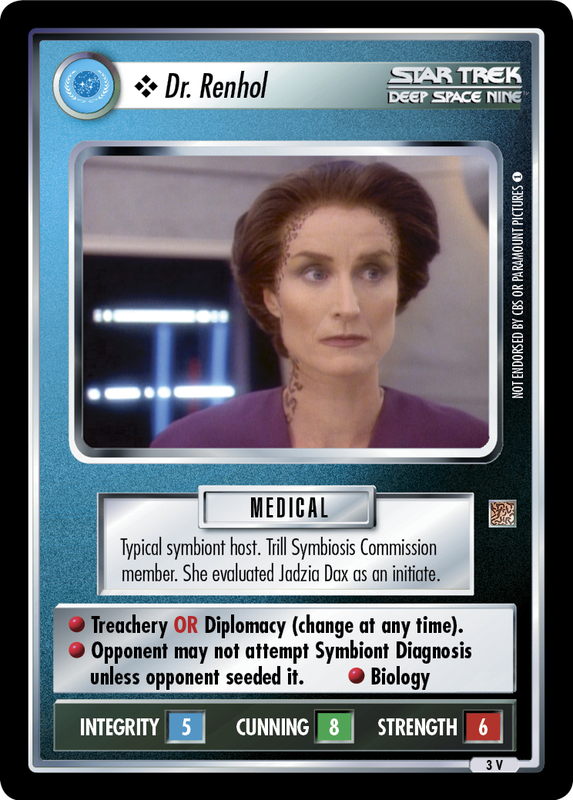 Host of the Kahn symbiont. 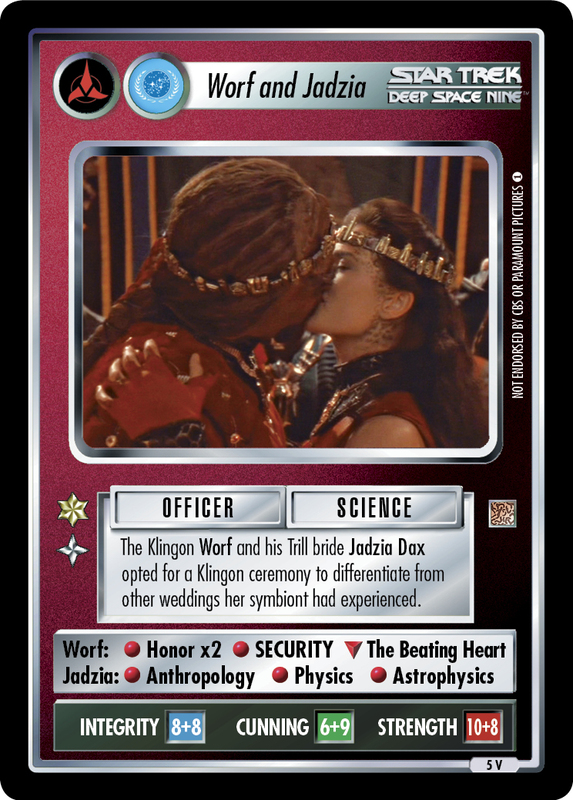 In 2372, she became romantically involved with Jadzia Dax. 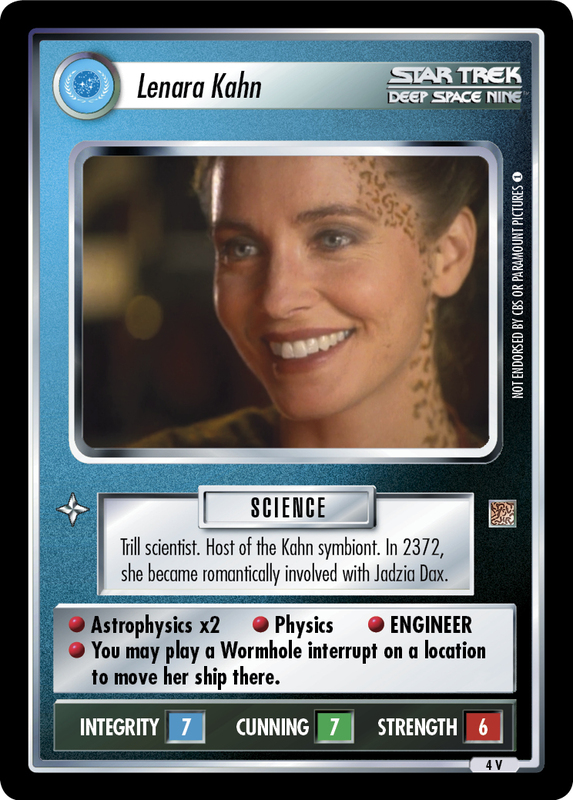 • Astrophysics x2 • Physics • ENGINEER • You may play a Wormhole interrupt on a location to move her ship there. 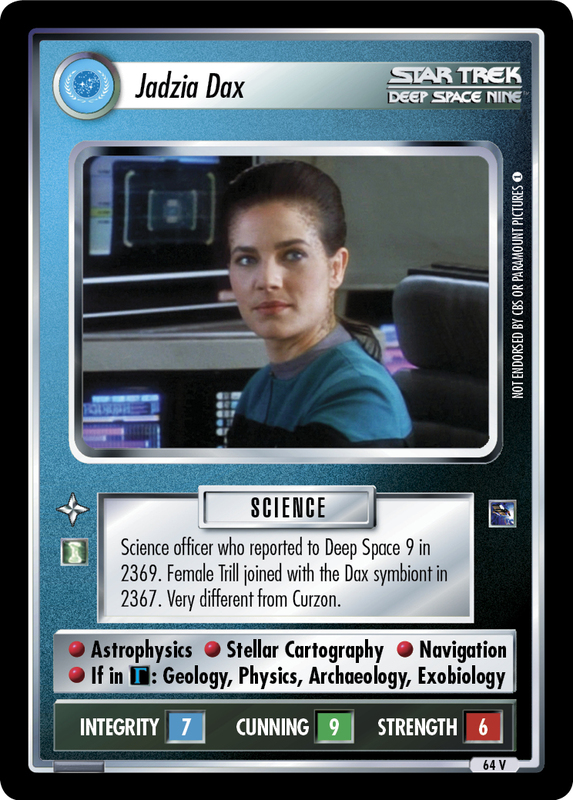 Image Source: Deep Space Nine: "Rejoined"